The Thin Air Press Kit 40x80” is our largest vacuum bag kit. We carry this for builders who need the extra room for luge skateboards, snowboards and wake skates and for woodworkers. The kit can be re-used many times, and with a little care and maintenance, can last for hundreds of pressings. It can be used for any smaller projects, by carefully folding the extra, unused vinyl so that most of the air is removed. 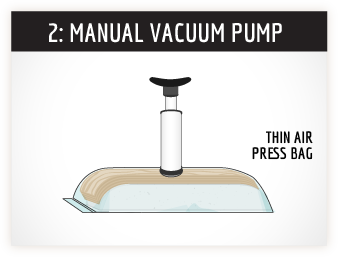 a 40x80” vinyl vacuum bag with a seal and a one-way valve. The valve can be positioned in the center (for most wood projects) or off-set for wet resin (epoxy) pressings. Please specify your choice when ordering. 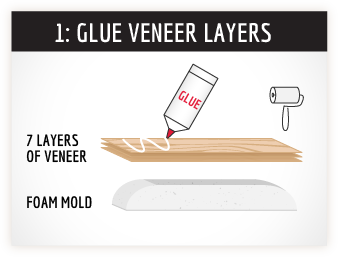 Insert your glued veneers (and mold) into the heavy-duty vinyl vacuum bag, position the breather netting under the valve, seal the bag, connect theSuper Pump and extract the air out. 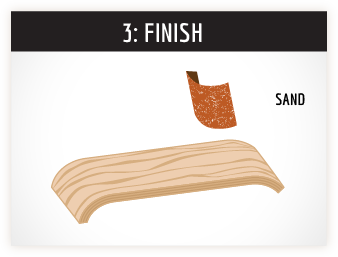 Watch as it generates enough pressure to press 7, 8 or even 9 layers of maple into a 3-dimensionally shaped skateboard.